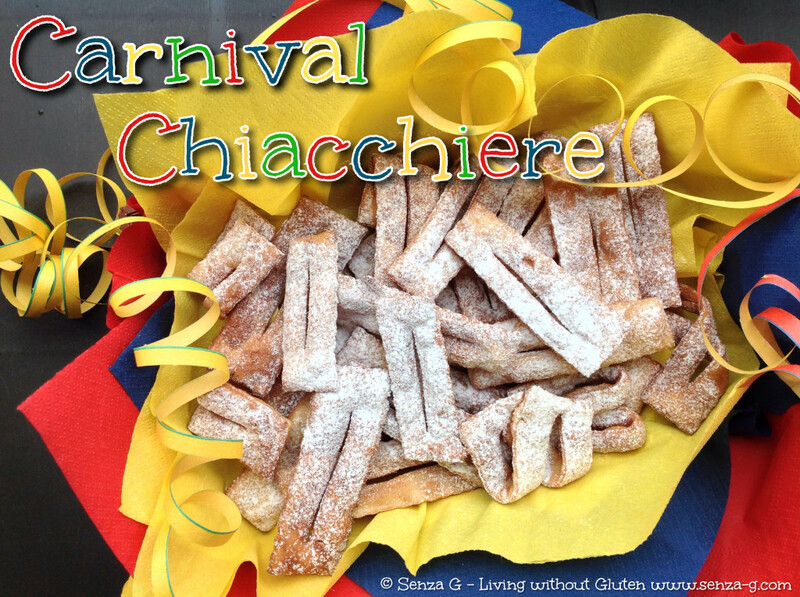 These yummy Carnival sweets are also known as Frappe, Bugie, Cenci, Strufoli amongst many other names, depending on the region. In Malta we make them as well and are called Xkumvat. They are basically deep fried strips of sweetened pasty, dusted with icing sugar. I made this with a mix of gluten free all purpose flour and also Tiger Nut Flour. I can assure you that they really marry well together! If you do not find Tiger Nut Flour, you can use just gluten free flour. In a large bowl, mix and sift the gf flour with the Tigernut flour, the sugar and the baking powder. Add the beaten egg, salt, wine, rum and vanilla essence and combine everything well with a mixer, or if by hand, a wooden spoon. Add the melted butter, working it in well to form a dough. The dough might appear sticky, this is normal. Put the ‘dough’ in a plastic bag or in clingfilm and put in the fridge to set for about a quarter of an hour. Take out the dough. Dust your surface really well with gf flour, the same with your rolling pin. Dip your hands in flour and start to knead the dough adding more flour and working it in until it is not so sticky anymore. It is better if you work with small piece. Divide the dough into three or four. Flour your surface again and roll out the dough. Fold it and roll again. Do this for a few times. Do not be disheartened as once it absorbs some of the flour it will not be sticky any longer. Finally roll it out thinly and using a cutter cut out strips. With a knife cut a slit in the middle of each strip. Heat the oil and when it is hot enough, deep fry the strips four to five at a time, turning them when they brown. Watch them carefully, as they brown quickly. Drain and place on a kitchen towel lined plate. When you fry all the strips, lay them on a tray and dust them with icing sugar! Based on a Recipe by Bi Aglut.